The next time you pour wine into your glass or raise a toast to your loved ones, it might very well be that you are about to taste one of the finest wines straight from Chile’s top wineries. Not many know that Chile is one of the top exporters of wine in the world and some of the best brands come form the heart of Chile’s wineries. As good as these wines are, it is more interesting to know about their source. Chilean wines have an exotic aroma much like the South American culture and a distinct texture, which sets it apart from the aesthetic European wines. Sipping these wines are as good as going for a trip to Chile. Below are some of the best Chilean wineries. Set amidst the foothills of the picturesque Andes and on the outskirts of Santiago, the owners of this vineyard believe more in quality than quantity. That’s precisely why the vineyard is small as compared to the others in the country but is highly sought after by both tourists as well as wine tasters from all over the globe. The backdrop of the imposing Andes range makes it not just a delight for your taste buds but also for your eyes as it is an unforgettable sight. A trip to Chile is incomplete without visiting the Matetic Vineyards. The setting is quite spectacular with low intertwined hills, which are manicured with the finest grape plantations spread across thousands of acres. The wines go through strenuous quality checks by the tireless staff who handpick each grape for the production and distillation of the wines. No wonder that the wines are rich in taste and quality. 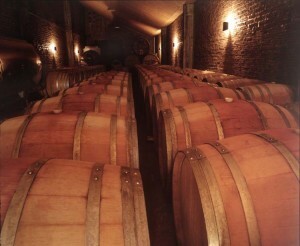 The winery produces both red and white wine, which is then exported to the rest of the world. This place experiences the perfect Mediterranean weather all year around, which makes the winery a perfect breeding ground for growing grapes and manufacturing wine. Thanks to this natural weather that this winery has produced some of the finest wines for over a century. When it comes to wine making, this winery has a perfect mix of traditional methods fused with modern technology. This winery exudes the air of the rich bygone era with colonial buildings still standing tall and well maintained around the vineyards. This vineyard is a result of the efforts of four generations. Started by Don Albano Balduzzi in the 1700s, the wine making tradition is going strong by Jorge Balduzzi today. It is located in San Janvier, which lies in the Malle Valley. No reservations are required to visit the site as the visitors are more than welcome by the staff who guide them across the length and breadth of the winery. This winery is located in the traditional wine making area of the country. What makes this winery idyllic is the mix of right climate and soil. The grapes are grown from a vineyard that spans almost two decades, which gives a unique flavour and texture to the wine. The wines produced here range from the most cheapest to the most exclusive categories hence it is sold worldwide across various countries thus makes this winery very popular in Chile. If you are planning a trip to Chile, do not afford to miss Chile’s top wineries as it will turn out to be a fine wining and dining experience that will stay with you for the rest of your life. This entry was posted in Chile, Wine. Bookmark the permalink.